Designed to provide a simple plug-in-and-go experience, the Mohu Curve 50 Indoor Amplified HDTV Antenna provides you with free access to over-the-air TV broadcast channels in full 1080p resolution. It is amplified and will pick up signals from within 50 miles of a broadcast tower. The included Amplifier Cable consists of an input for the antenna, an output to your TV, and a USB plug. This USB plug will power the amplifier either from a spare USB port on your TV or from the included USB power adapter. 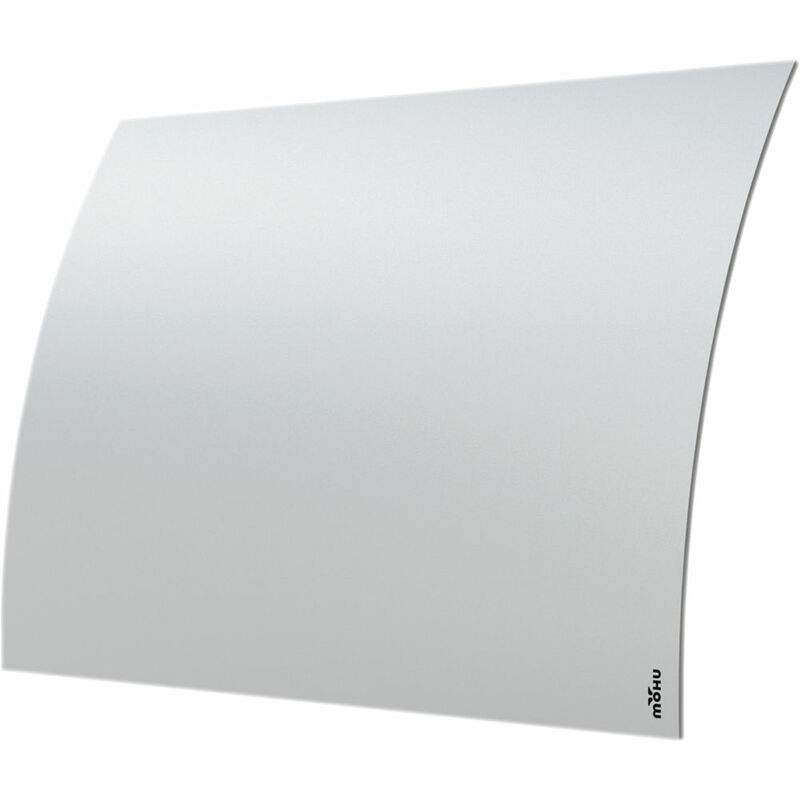 Box Dimensions (LxWxH) 12.5 x 8.5 x 2.5"
Curve 50 Indoor Amplified HDTV Antenna is rated 4.3 out of 5 by 22. Rated 5 out of 5 by Gene B. from Happy With Purchase I live out in the boondocks; and I hate to pay for cable television. The nearest stations are thirty miles away. I first tried a $7 OTA antenna and got only one network station. Although the Curve predicted that I would not get any reception... I now have access to all major television stations (including PBS). Really a good purchase in my case. I really dislike cable companies and appreciate the ability to take back control. Very happy with the purchase. Rated 5 out of 5 by jimmy from great reception great amplifier but you HAVE to use the cable provided in the box. The impedance must be carefully matched by the manufacturer; it doesn't perform if you try another coax. Great reception, significantly better than a cheaper one I got (leaf style but not mohu brand) from another store. Recommended, use it as described in the manual (aka, their coax). Rated 4 out of 5 by scitfrostbite from TV the old way We are outside of the city so I needed a amplified antenna. This one promised 50 mile coverage. I pushed it's limits by the distance and the fact that I have it in the basement, below ground level. I'm getting 3 of the 4 major networks plus an bunch of small stations. I bet if I had this thing on the second floor I'd get them all. Rated 4 out of 5 by Michael from Excellent -- but curve is not needed Receives many channels in my location. But the curve is for show. It's actually not needed and actually prevents wall mounting. The flat wall mountable version is cheaper and will mount easily anywhere. Rated 5 out of 5 by TViewer from It works fine! i live in the west 50s. Placed antenna in window facing west (seventh floor). Got lots of channels, including all the major local stations (2,4,5,7,9,11,13). Reception was excellent. Rated 5 out of 5 by Anonymous from Excellent product but not compatible I bought this based on the great reviews and the sleek design. The product is great and arrived very quickly but it wasn't picking up channels so I called Mohu support. She said that the the amplifier in the antenna was actually not compatible with the sort of signals my local tv stations used, so essentially I had too powerful of an antenna. Sent it back and got the Leaf 30 and am quite happy. Rated 4 out of 5 by inspectorjay from I would recommend this product This product does exactly what it was purchased for. I live in a remote area and didn't expect to receive many channels. I do receive all channels predicted. I was hoping for a few more. Direction of the antenna does have more effect on signal quality than expected. Rated 5 out of 5 by JMP from Great reception, love it This Curve 50 antenna replaces two previous indoor antenna attempts which didn't provide all the channels in my area. This one does. Looks good and works great. Can you hang this antenna on the wall? Thanks! In theory, yes. However, today's coaxial cables connectors are fairly bulky and they would make the unit stick out. I for one gave up and placed it high up on a bookshelf. Alternatively, you could improvise by adding a few poster mount stick-on stickers until the unit can stay flashed against the wall (just a thought). Mine is facing a wall and it works just fine. I was able to pick up many additional stations when I went with this anteenna. It comes with a 16 ft. Coax cable. Will it work with a longer cable? If so, how long? yes...but I live in Canada and I only get 3 channel.. beaware of your location..